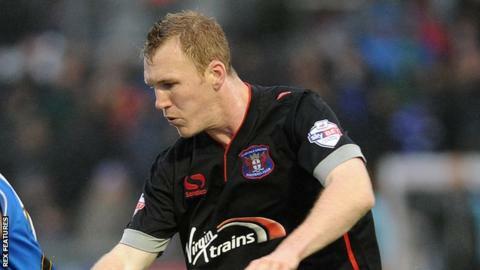 Carlisle United have extended the loan of defender Mark Ellis from League One side Shrewsbury Town until 2 January. Ellis, 27, signed on a one-month loan deal in October and has made six appearances so far for the Cumbrians. "Mark has settled well here and he's a player who looks like he's enjoying his football," manager Keith Curle told the club's website. "He got promoted out of this division last season and he has a good amount of experience in a key position."